Artifacts are souls of gods, basically, bonded to physical things. These souls have personalities. Some have gone mad from the solitude, others have stayed sane. All are powerful. Fractured souls have their own abilities, albeit much weaker, and generally lack a personality. The Brain of the Summer Storm was a full soul, split into 2 (major) personalities (Raijin/Thor, or at least they would be the most used) as a result of it's madness? EDIT, it's now two souls, mashed into one artifact. ;3 Nick's going to need all the power he can wield to be able to make them bond. The Shadow thief's Gloves being a small fraction of a thief-god's soul? This is good. 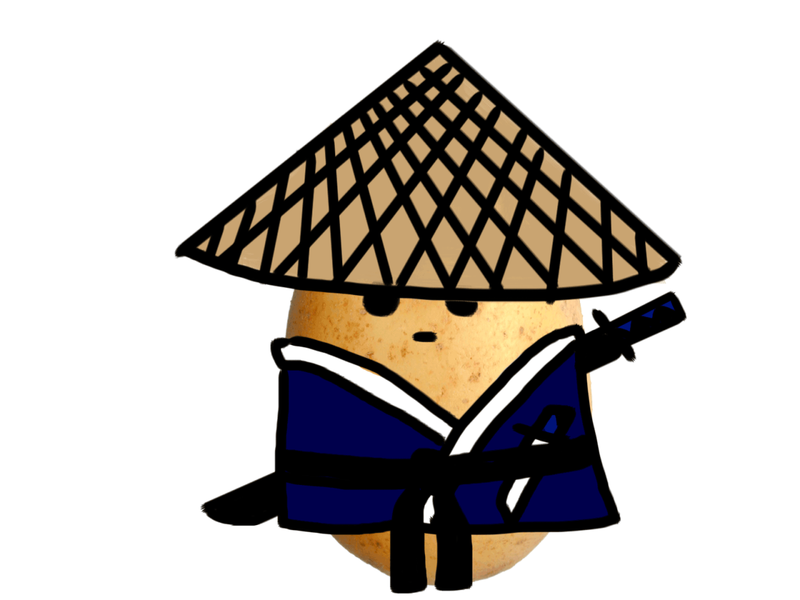 Wandering Ronin Spud is... Writing! The post was edited 3 times, last by Spudbob ( Mar 22nd 2018 ). I'm not very good at explaining things :P but i think you got it pretty well. I can dig up some posts from the old RP about Raanan (my old artifact) and Jewel (who was his holder) and how they work together. But i really need to sleep now so t'll have to be tomorrow. I mostly like all your ideas about artifacts, but the ability to kill literally anything with a soul seems a bit much without any kind of restrictions. Also all the "gods" are dead. Here, lemme go into a bit about their history. The artifacts are based around a mix of different old mythologys, and their history is mainly based on norse myths. They split into two groups and went to war, ending in the whole race's destruction. They destroyed their whole dimension in the process, letting their souls escape into the multiverse. some of them shattered into pieces, but others stayed whole, or at least mostly so. They all attached to random objects and relics (often ones that reminded them of something) and were trapped there. Some of them went insane from the isolation, and also, you know, DEATH, Or have been driven insane by evil people who have found them. Oh, and i forgot to mention one thing. If the artifacts are strong enough, they can sometimes "posses" anyone who holds them for a short amount of time, so they can speak to the people around them. When not possessing their holder, they can only speak to people through direct contact with their vessel. Also, I found this timeline our friend made for the roleplay. (the original RP was based around gravity fall btw, that's what all the bill cipher stuff is about.) Bolded the parts that are talking about the god/artifacts at the beginning, and i left the rest because i thought you guys might find it interesting. -Five demons use an Artifact called "The White Sun" to hijack the Temporal Vortex, becoming Time Daemon Gods. They create the Time Daemon race, and an empire to go with it. The White Sun was drained of power and lost to the timestreams... or was it? -Bill Cipher gains power rivaling that of the Axolotl, but loses it to Alex Hirsch The Evil Flannel Messiah in a game of interdimensional chess. In exchange, the former will be revived by the latter whenever he dies. Eventually. -The Evil Flannel Messiah promptly gives this power to his boss, triggering the aforementioned ascension of the Knight in Sour Armor, as well as ending the War of Citrus a century ahead of schedule, and pushing back the Deizens for another 10 million years. -Bill Cipher fights his way back from the Far Realms, and briefly works with the Axolotl to strengthen Yggrasil, and thus the wards between the Megaverse and the Far Realms. Bill also swears to never align with the Deizens again; if he does, he'll betray them before it's too late. He then promptly forgets this vow, but remakes it every few eons or so. -The Time Daemons get caught in a bloody war between the New Gallifreyan Republic, Old Temporal Imperium, Nightmare Realm, Olympian Hegemony, and Axolotl knows who else. This "War of the Hourglass" destroys or cripples all of these powers, and is notable for accelerating the extinction of the Time Giants, and for the first recorded use of a Time Wish; specifically, as a weapon of mass destruction. -The War of Providence: Bill Cipher gets to big for his britches, and wages war against the Megaverse. The Nyghtmar Dominion works together with other dimension powers to seal the Illuminator within his own temporally transcendent Nightmare Realm. -The Eclipse Empire, Arcwind Confederation, Neo-Covenant/The Plagued, and Bleventeenth Reich are locked in a decade long, three way, multiversal war. It ends with the former three ganging up on the fourth. The resulting peace treaty unites the three remaining powers, and numerous smaller kingdoms, in the Shadowed Kingdoms, under High Warlord Shadowhisker. -The War of Ashes officially ends with the Treaty of Riftshield. The cleanup takes quite a while, however. -Our heroes begin their quest. Now was that so hard to write? That literally answers all my questions I had, and I'm now editing my artifacts to fit. And sorry if I sound snarky, it's just... you were saying things, yet explaining nothing. sorta frustrating, ya know? Uh, it actually was very hard to write? I took me quite a long time, and I had to dig through old threads to find everything. Also I was keeping it a little vague on purpose because i'm trying to contact the person who thought up most of the stuff about artifacts, and wrote the timeline, and I'm not completely sure if i'm getting all the details correct so I want to wait for him to reply before I set everything in stone. I also have a lot of anxiety over posting things online and interacting with people in general. Even if you didn't mean to be mean, it's really easy for me to feel like i'm being attacked and judged, even when I know better. Like, I get you're just trying to figure things out, but i'm trying really hard here, so tone down the sass. oh, I had assumed you already knew everything. It was... inconsiderate of me. Anyway, My artifacts are edited. Hopefully they fit this new criteria. I've even toned down the power of the Gun. Okay. So I'm taking the reins for a bit I guess. Um. Yeah. The cake is a lie but we have cookies! WARNING: May spontaneously make Disney references along with other fandoms. Mmm. Well, I'll think up Ana's Artifact later. How many people do we need to RP? mmkay, is this thing gonna happen, or what? I'm really excited, and I can't wait! Me and deer have been rather busy with school and life so let me check with her real quick. me and seer are both busy with school and stuff and catching up from spring break. She also wants to wait for more people. Richard! Greetings! It’s me mystine! 'ello, monkey! Es been too long! Give us a hug, would ya? No, I know not the stranger clad in darkness. I was only quoting a game. XD GG Spud. I figured as much since he just made the account recently. Just gonna bump this for... reasons.